Golabi Studio's IGF finalist title now available for iPhone and iPad. Farsh, the brain-bending indie puzzle game and Independent Games Festival finalist, has just been released on the App Store. Originally a PC title, the game is now also a universal app for iPhones and iPads, and you can see it in action in the trailer below. 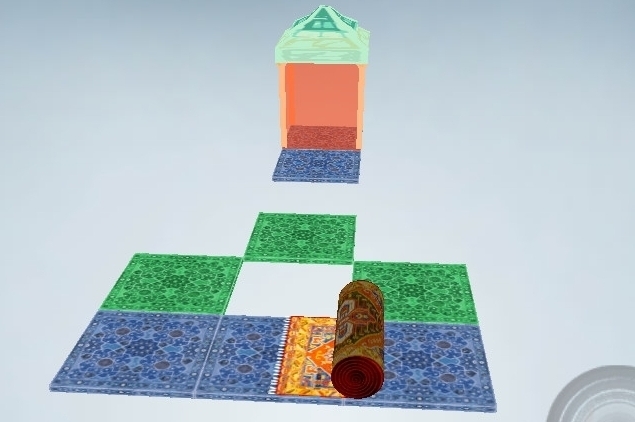 Players will have to solve spatial puzzles in a minimalist environment, rolling and unrolling a carpet around the screen in order to find the correct path to the exit point. You can grab the game from the download link below.